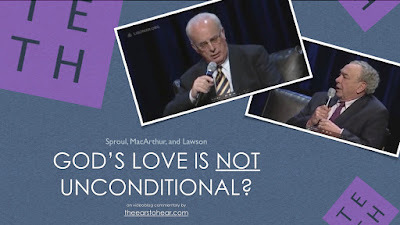 God's Love is NOT Unconditional? 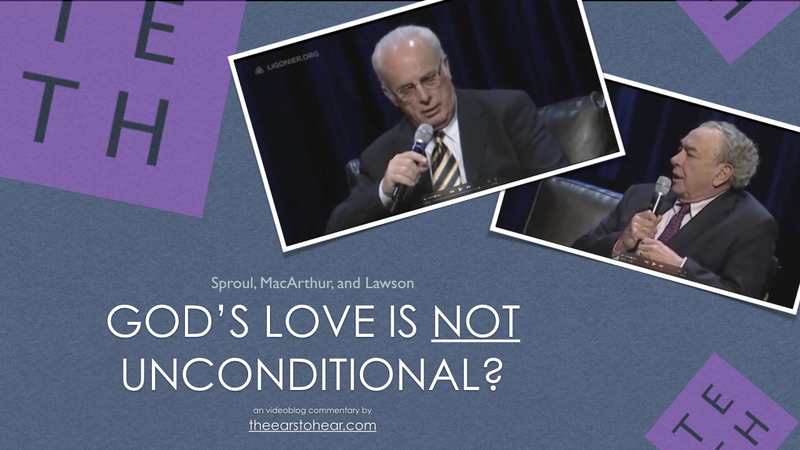 One of the most fundamental truths of salvation by sovereign grace is that God’s love for his chosen people is utterly unconditional so far as any actions on their part are concerned. This is an unavoidable consequence of the well-founded doctrine of total human depravity in the scriptures. The moment one affirms the abject depravity of the human race as a result of the fall, they have likewise affirmed man’s total inability to meet any spiritual conditions whatsoever (Galatians 3:21). It is this observation that forms the basis for why eternal salvation must be totally by grace and not according to our works rather than by works through some conditional scheme. Salvation by sovereign grace insists that ALL of the conditions required for the salvation of God’s people were met by God himself, not by man (Romans 8:33). So I’ll pause here to state this as bluntly as I possibly can so that there can be absolutely no misunderstanding on the matter: Any man who does not believe that eternal salvation is unconditional so far as man’s actions are concerned, does not believe in salvation by sovereign grace, irrespective of how audaciously wrapped in sovereign grace language he may present himself. Those who insists that God’s love for his people is not unconditional while also insisting that this theological position should be called “salvation by sovereign grace” are evident Christian Irrationalist of the most egregious sort.